Need to spruce up the tree this year? 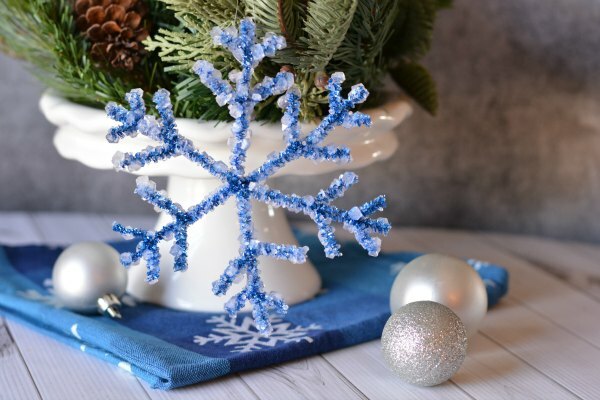 Make these fun snowflake crafts for kids using pipe cleaners and Borax! Decorating a Christmas tree is one of my favorite parts of the holiday season. But I'm kind of picky about what kind of ornaments I put on my tree. The ornaments have to either be homemade or be a reminder of an event, a place or a person. No random store bought ornaments allowed! Homemade ornaments are my favorite and they are great crafts for kids. 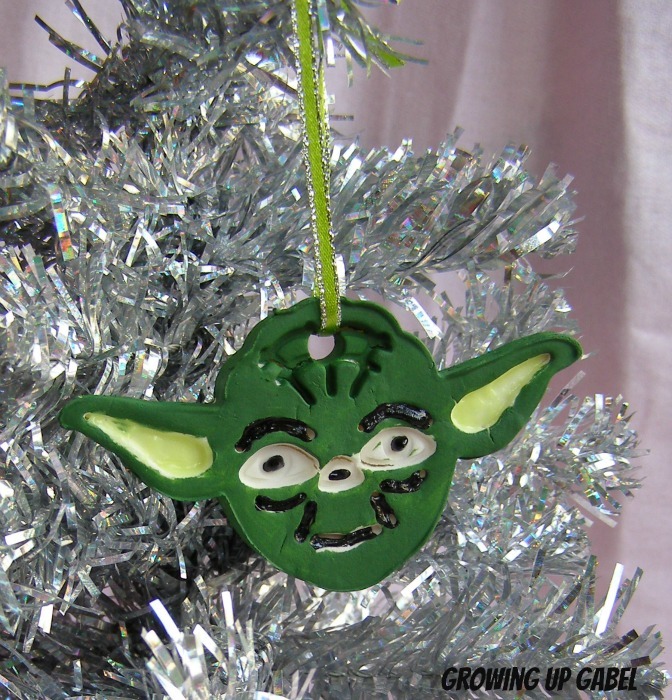 One year we made these cute Star Wars ornaments with a baking soda clay. I still love them! The baking soda clay is great for all kinds of fun ornaments. 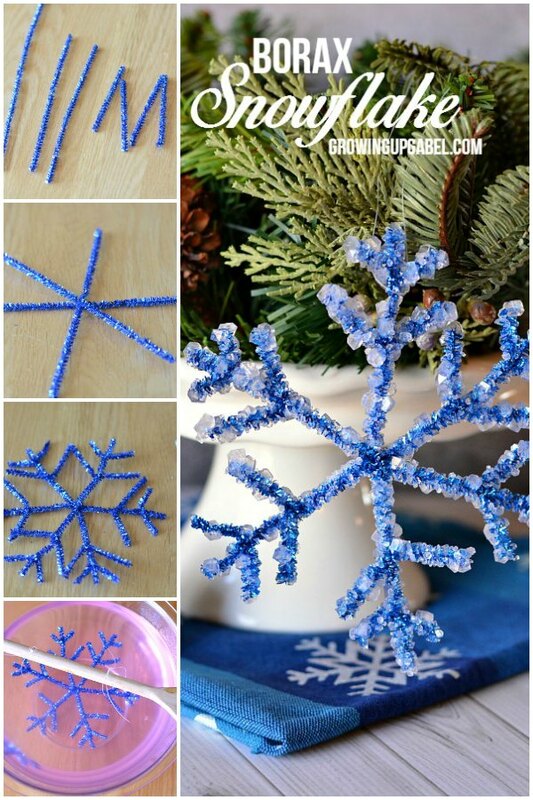 But this year, we're going with a snow theme and these snowflake crafts for kids are perfect. 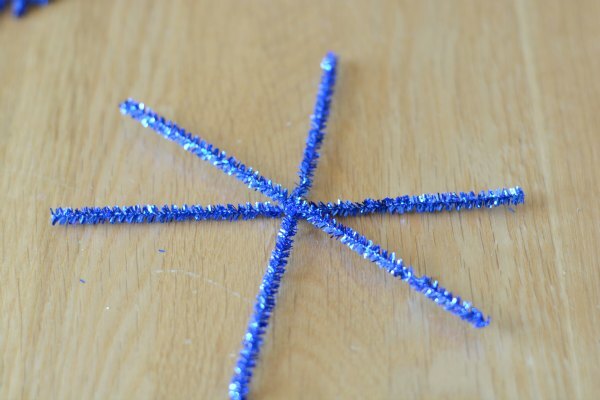 You will need 4 blue glittery, pipe cleaners to create one snowflake. Cut two in half and use three of the four half pieces to make the six points. Wrap the centers together to secure. If you plan to frame the snowflake, make sure it will fit in the size frame you want. Add the points by cutting the half in half again and cutting one entire piece into fourths, giving you six pieces. These will be on the end of the points. Wrap the centers around the points about 1-2″ from the end. 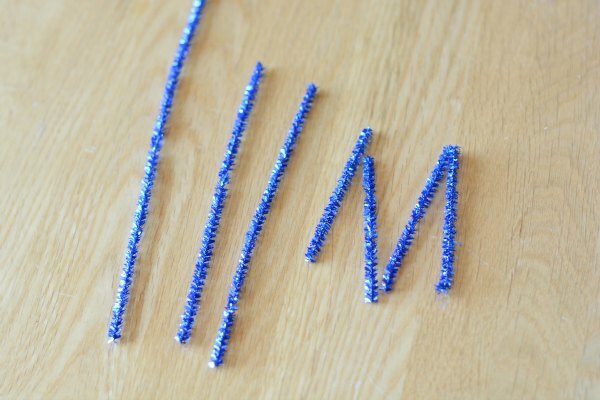 Repeat to create another point on the end and then all six points.Use wire cutters to trim the lengths and even them up. 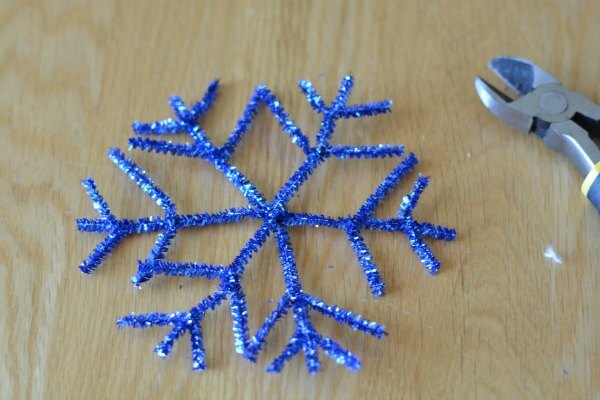 When you are happy with your snowflake design, wrap two pieces of fishing line around it and slide it over a spoon. Place the spoon over the bowl making sure the snowflake does not touch any of the sides of the bowl. I have no idea why the water turned pink! I'm thinking maybe somehow some coloring came off of the pipe cleaners. It did not affect the process or the snowflake. Nothing at all looks pink. In a microwave safe bowl, add 2 cups water. Boil and then add 1/3 cup borax. Stir until dissolved. 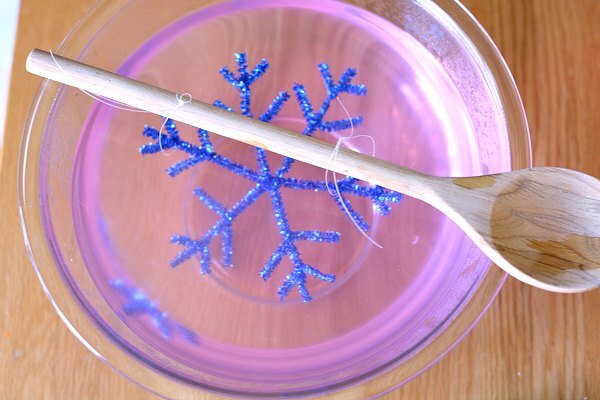 Pour into bowl with snowflake. Repeat until your snowflake is completely covered with the solution (I repeated 3 times to yield 6 cups). 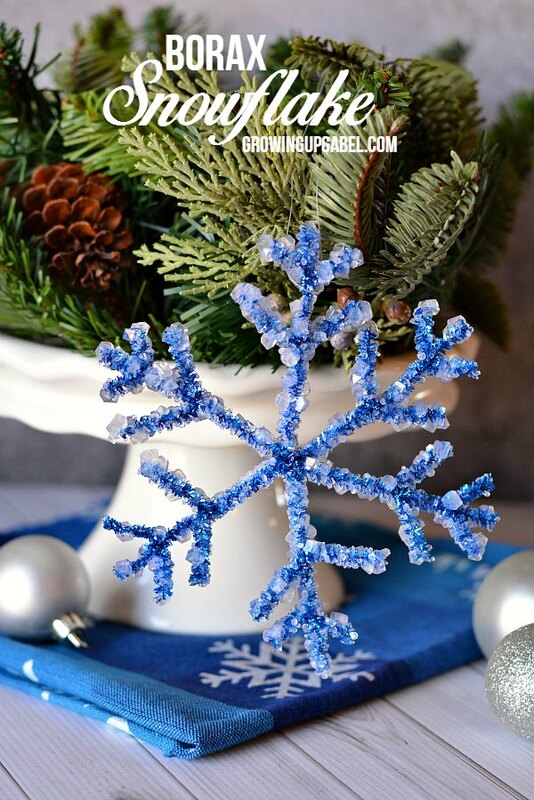 Set your bowl in a safe, level place for a few days until the borax attaches to the snowflake. Remove from the bowl and place on a flat surface (I used a plate) to dry. 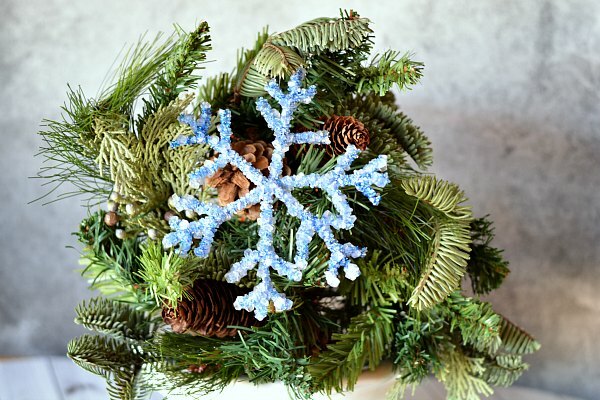 When dry, add fishing line to hang on your tree or, make a frame to display your snowflake all winter long. 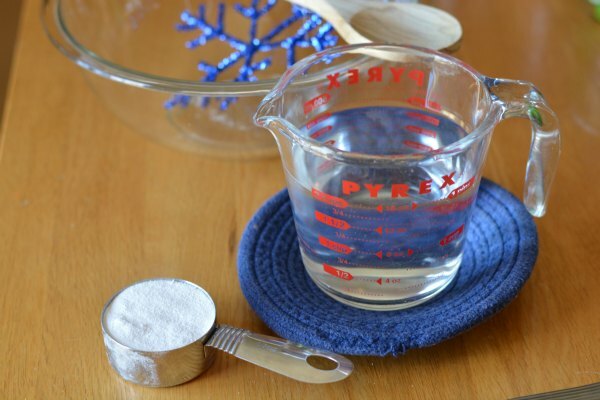 Don't forget to try out our baking soda clay to make homemade ornaments! Host A Christmas Cookie Exchange Party – FREE Printables! What a clever idea. These are so cute and fun to make. I hope you stop by Over The Moon party on Sunday since you are one of my features. So Google tells me that: sodium tetraborate decahydrate, is sold as a naturally occurring mineral compound best known as a laundry booster and water softener in the UK. 🙂 I hope that helps! My 5 year old loves anything to do with crystals. We’ve made borax crystals before and they were a big hit! 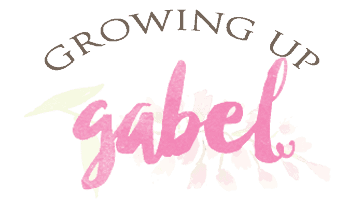 I love this project, Camille! I can’t wait to try it with my girls yet this winter. They will love the sparkle. Pinned and sharing. 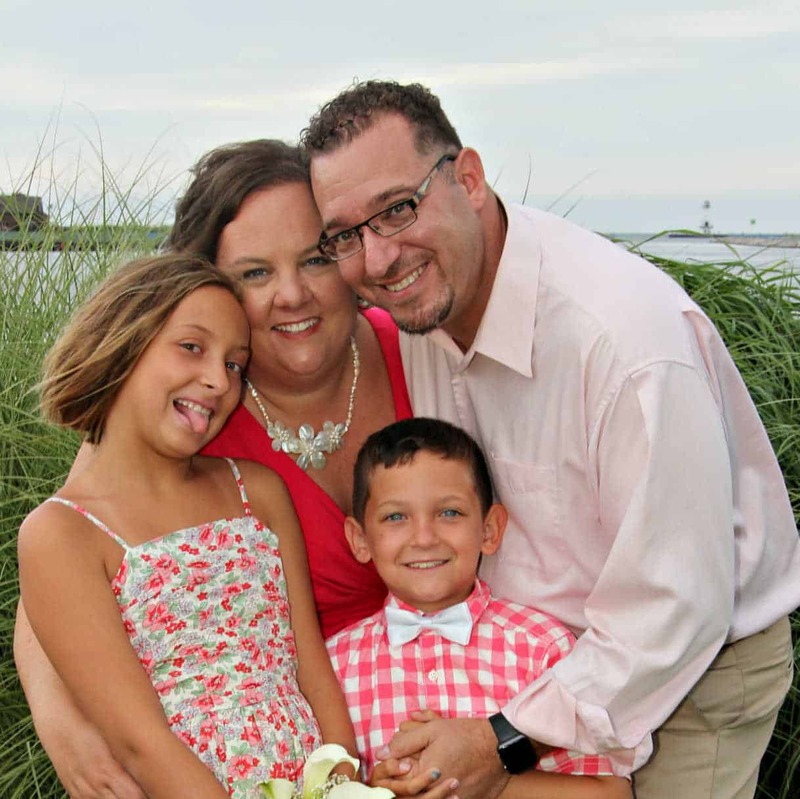 Thank you for linking up at Family Joy Blog Party. I have chosen this post as my feature for our next party starting on Sunday at noon EST! These came out really cool. I had no idea you could do that with Borax, Neat project. Thanks for sharing. Can plastIc or metal containers be used for this or only glass? What a cute craft. Thanks for sharing with us at Throwback Thursday. Hope to see you again this week. The snowflakes are awesome!! Thanks for showing us how to make them! I need to try them!! I want to make these with my kids! Thanks for sharing at #HomeMattersParty! These look wonderful, and they are so simple. My kids would love to make them. Definitely pinning! LOVE these! How fun for Winter! We usually make paper ones but now I want to try this. Thanks, Wendy! 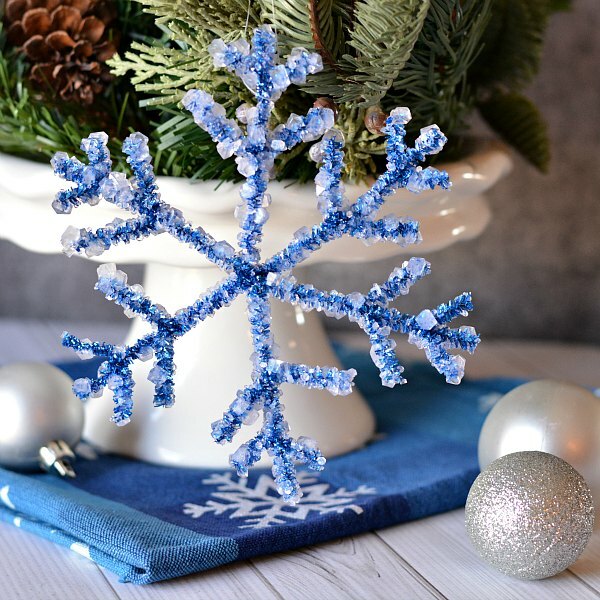 Nothing like a sparkly snowflake to make our desert feel a little more wintery.